Custom built and designed private cherry library by Vorrath Woodworks in San Francisco, California. The room doubles as a guest bedroom, and there is a built in murphy bed on the East wall. On the west wall, there are two large Closet storage spaces with wenge doors. 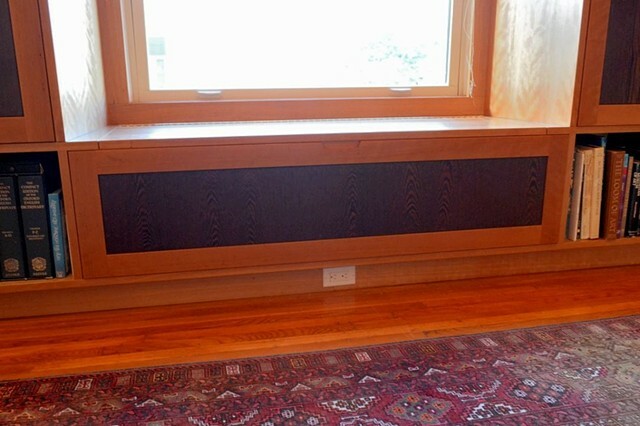 Also on the west wall is a window seat that doubles as a storage chest.